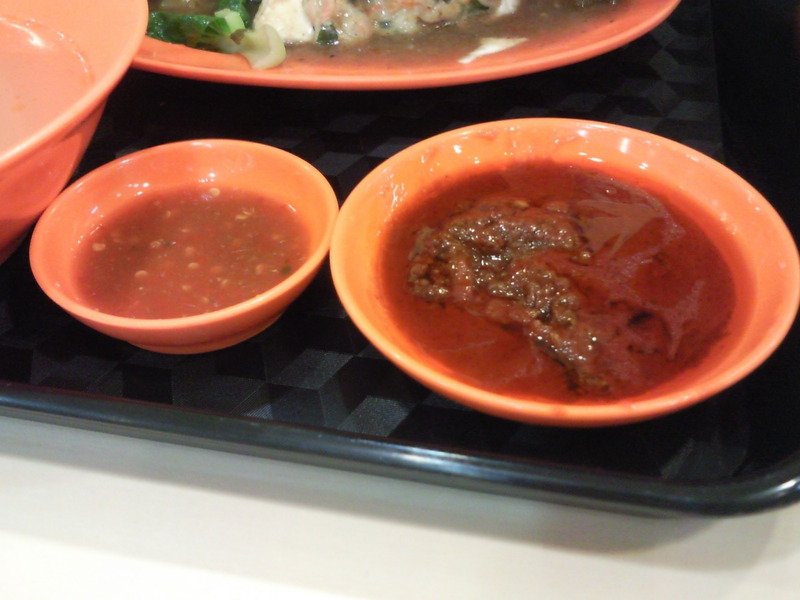 This afternoon, I just had my Nasi Lemak lunch at Boon Lay Hawker Center. So my friend bought me a cup of coffee and he ordered his lunch at Boon Lay Shopping Center on the 2nd-level (air-conditioned). 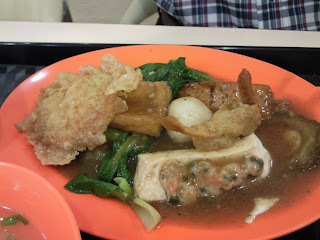 While waiting for my friend Nelson to finish savouring the Ampang Yong Tau Fu, I asked his opinions about the taste. He gave the thumbs up, rated 70 out of 100 marks for his food. Can come back and eat again. According to him, the quantity is substantial which consists about 8 to 9 pcs of Yong Tau Fu , 1 bowl of noddle (mee fan), 1 bowl of soup, 2 types of chilli. The overall taste is good & crispy. Chilli is good and soup is not bad. However, Nelson can't finish the noddle & the bitter gourd. I look at the next table, two aunties also can't finish the '1 person set' which they shared. Nelson also mention the variety is not wide enough. Only 1 to 2 kinds of vegetables served. I think I also won't be able to finish the food if I order the next time. So come with a half-empty stomach if you are really keen to try the Yong Tau Fu above.